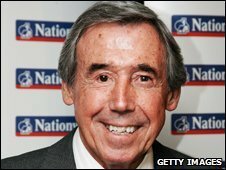 England football legend Gordon Banks has revealed his sacking as manager of Telford United in 1980 was the reason why he did not manage again. The 1966 World Cup winner was boss at Telford from January 1979 to September 1980, but was sacked after just a season and a half. "They were good days for me, I thought I'd done a good job," Banks, now 73, told BBC Radio Shropshire. "They asked me to get them out of relegation, which I did do." He added: "Unfortunately we lost in a cup match, to a team lower down in the division away from home, and they gave me the big boot, which I was disappointed about." Banks was the second England World Cup winner to have a stint managing Telford after Geoff Hurst's spell as player-manager in 1977. The former Stoke keeper admitted that his sacking by Telford changed his mind about a career in club management. "It broke my heart. I just couldn't believe that I'd put all that effort in and found I just got kicked in the teeth and it just disappointed me that much, that I didn't apply for another job. I did not want to stay in the game." Telford finished 13th in the 1979-80 Alliance Premier League during his time there. They lost 17 out of 38 games. 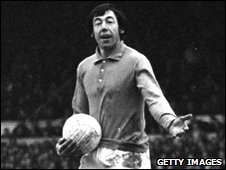 Remembered for his heroic part in England's triumphant 1966 World Cup campaign, Banks also had a successful club career that spanned three different decades where he played for a number of clubs including Leicester City and Stoke. Capped 73 times by his country, he retired in 1972 at the age of 34.